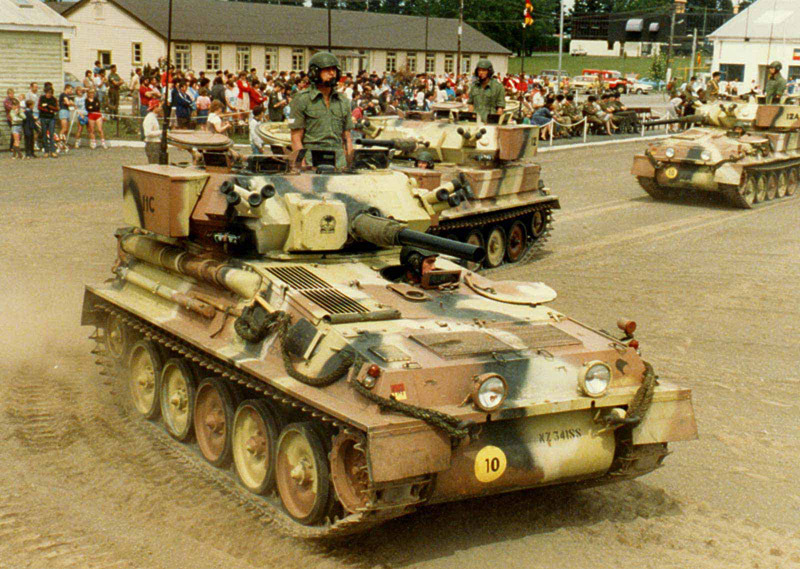 The purchase of 26 Scorpion CVRTs in the early 1980s enabled the Army to reform 1st Armoured Regiment to full operational status, where it had previously existed only on paper. 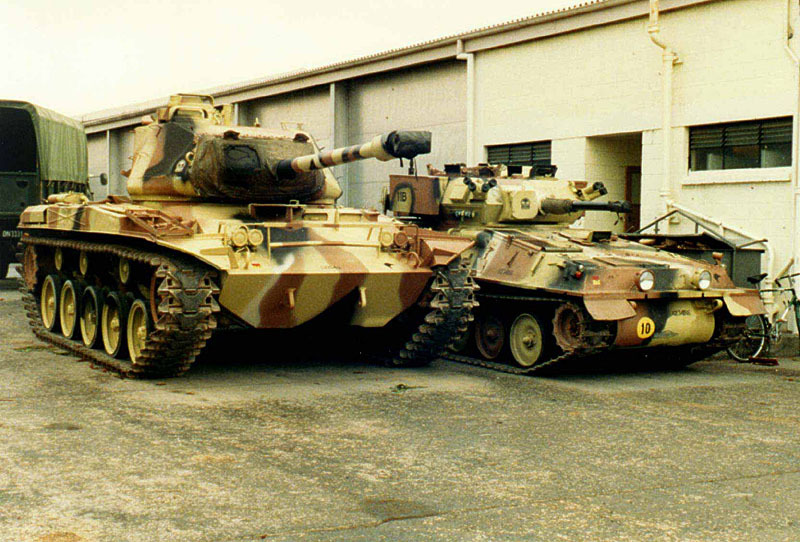 In its new form it comprised three squadrons; a tank squadron equipped with Scorpions (A- Queen Alexandra's) a cavalry squadron (B- Waikato/Wellington East Coast) equipped with a mixture of Scorpions and M113A1 APCs and an APC squadron (C- 1 Scots) equipped with M113A1s only. 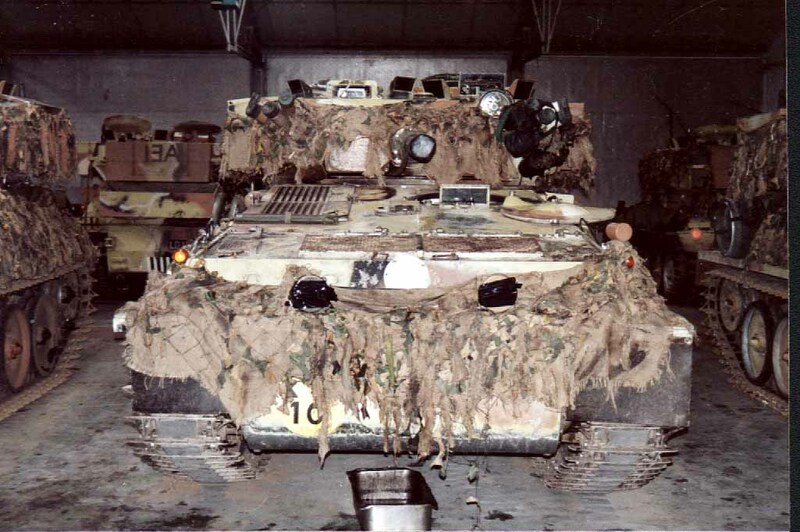 In keeping with the practice started in the late 1970s all vehicles were completed in the US MERDC Red Desert camouflage scheme. The Queen Alexandra's Mounted Rifles hatch badge. 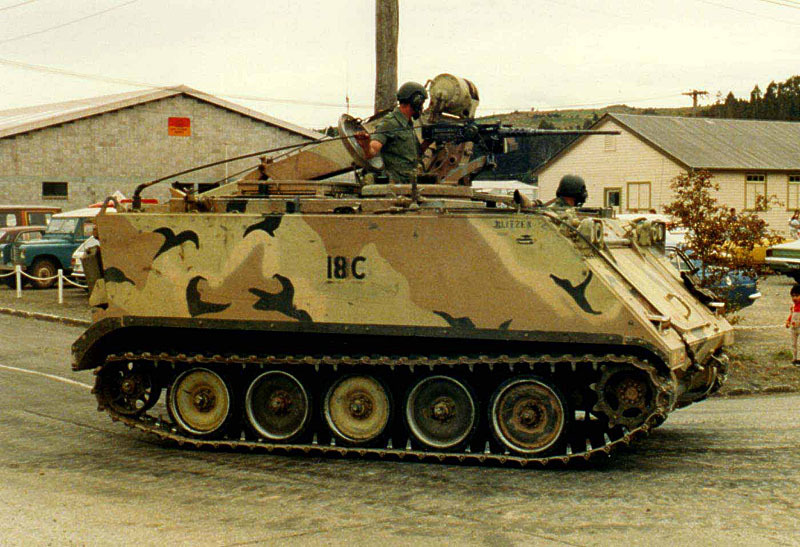 The style of Kiwi insignia carried by vehicles of the Squadron. 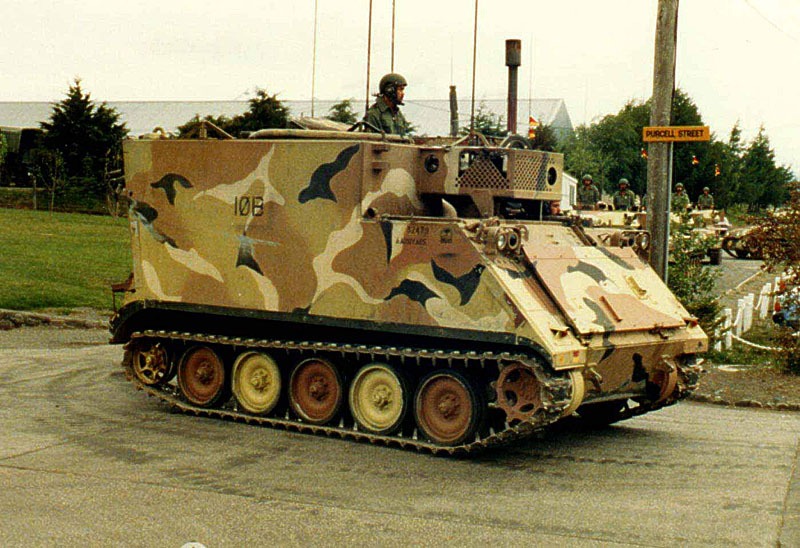 A Scorpion (NZ34183) from QAMR during an open day at Linton Camp near Palmerston North in the late 1980s. 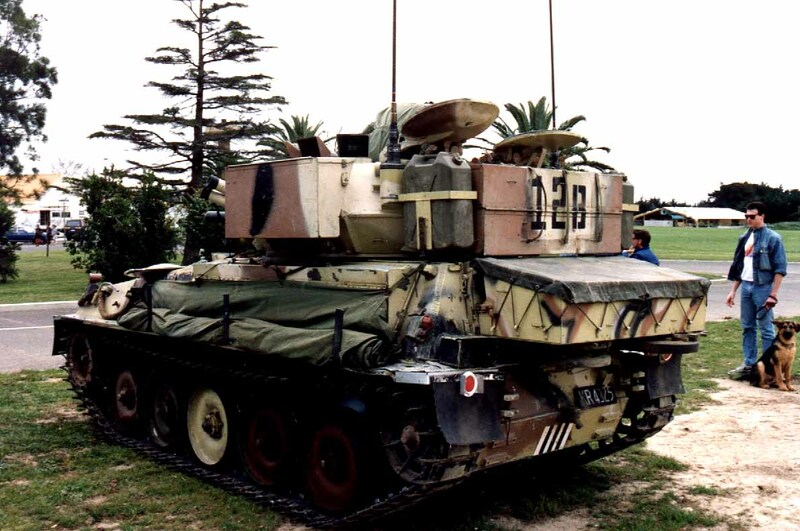 Formerly known as "Addonis", (NZ34183) was renamed "Awatere" and a stylised Maori figure added next to the name. 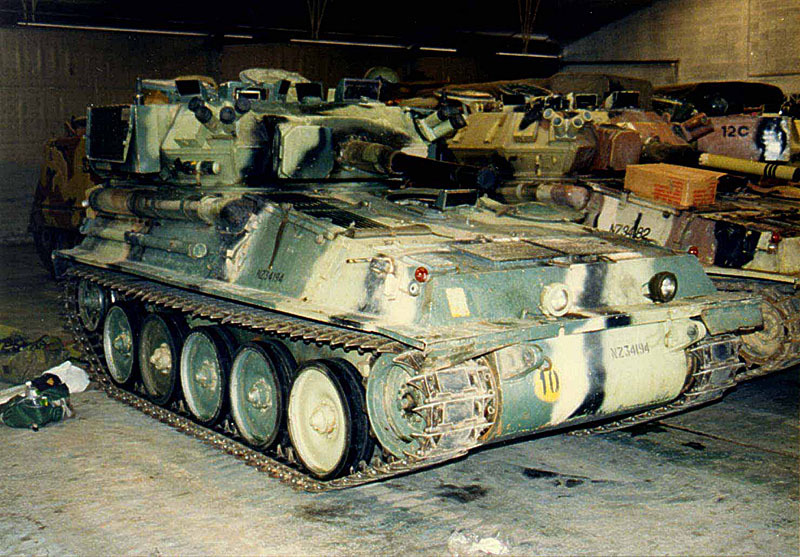 A well-camouflaged Scorpion in the hangers at Waiouru. 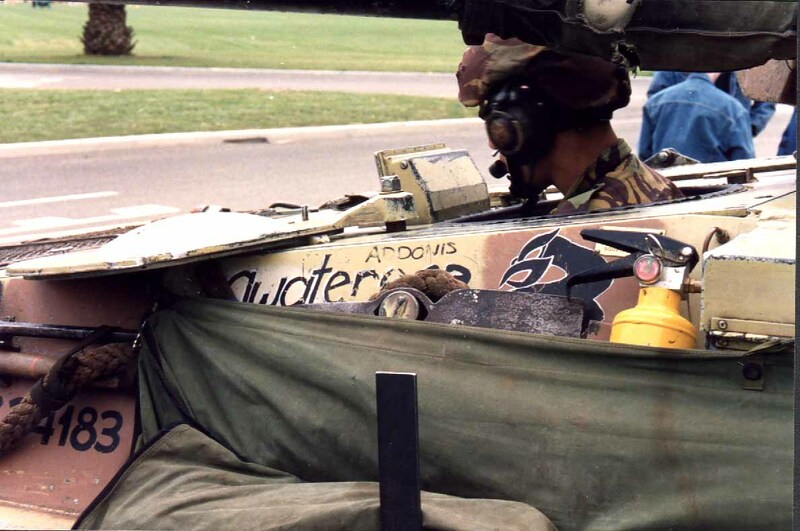 In the late 1980s one troop from QA Squadron was repainted in the MERDC Verdant Green scheme to enable it to participate in exercises in regions with more green vegetation than found in Waiouru.